The idea of a rebirth in the art and civilization of the western world during the fifteenth and sixteenth centuries has proved an enduring one. Expertly traversing religion, art, history and culture, the author suggests that the region that produced Luther and Durer owed as much ... read full description below. The idea of a rebirth in the art and civilization of the western world during the fifteenth and sixteenth centuries has proved an enduring one. Italy has long been seen as its home: the source of both its origins and its finest cultural expressions. Yet in the north, the bright Mediterranean dawn of Boccaccio and Michelangelo was echoed by the artistic genius of Memling and the brilliant humanistic insights of Erasmus. This lively new history argues that the rediscovery of the antique worlds of Greece and Rome between 1400 and 1540 is only one part of the story. Though Italy was the natural heir to the Roman era, northern Europe developed a realism and illusionistic naturalism in painting which owed little, if anything, to the south. Some of Jan van Eyck's and Rogier van de Weyden's portraits have never been surpassed. These painters were profoundly influential, not only on their northern followers like Hans Holbein the Younger, but on Italian artists as well. Netherlandish painting was universally admired by fifteenth-century Italians, while the musical creativity of the Low Countries was also much prized in Italian cities and courts. 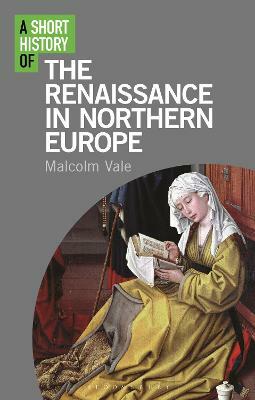 Expertly traversing religion, art, history and culture, Malcolm Vale suggests that the region that produced Luther and Durer owed as much to its own past heritage as to new ideas from Italy. His book will change our perceptions of this flowering of European art and culture. Malcolm Vale was, until his retirement in 2010, Lecturer in Modern History in the University of Oxford and Tutorial Fellow in Modern History at St John's College, Oxford. His books include The Ancient Enemy: England, France and Europe from the Angevins to the Tudors (2007, 2009) and The Princely Court: Medieval Courts and Culture in North-West Europe, 1270-1380 (2001, 2004).